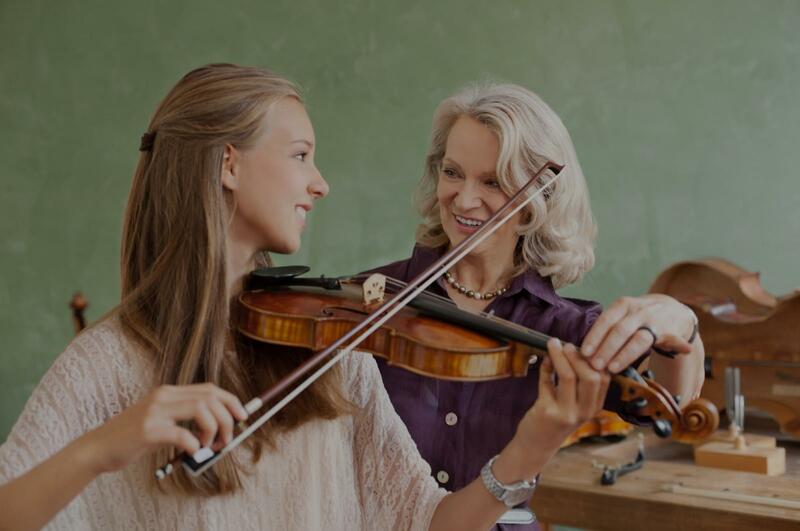 Glen Mills, PA Violin Lessons Near Me | Fun Classes. Top Tutors. Check out some of our most popular teachers near Glen Mills, PA including Philadelphia, Wilmington, West Chester, Trenton and Newark. Violin is so much fun to play and teach! Technique, rhythm and confidence building are my main focuses for violin students. In addition to performance skills, I aim to give all my students musical knowledge about theory, music history and musical terminology. Hello, I'm excited you're thinking about music lessons! It is my passion to provide high-quality education to young learners. I obtained my B.M. in Violin Performance from West Chester University. I have been furthering my teaching skills as an active American String Teachers Association member, through Suzuki training, and pedagogy study at The Juilliard School during the Starling-Delay Symposium on Violin Studies. I also perform locally and love playing for opera and musical theater. s get the most out of each lesson by using a variety of teaching styles and tools. Students with longer lessons (45 minutes or more) can benefit from music theory workbooks and games which I incorporate into the lessons. My goal is to make every lesson fun and challenging for my students! Hard-working students will prepare for auditions with local youth orchestras. I offer multiple performance opportunities each year. In the past I organized formal spring recitals where all my students gained the experience of playing with an accompanist in a recital hall. Special opportunities include honors recitals and Duet Day performances. Of course, these opportunities change from year to year, but the emphasis is always on giving a performance to be proud of! It is my pleasure to recommend Amanda as a violin instructor. On very short notice, she enthusiastically agreed to help my daughter prepare for a middle school orchestra audition, even though we were not on Amanda's roster of clients. In two 30 minute private lessons she was able to acclimate my daughter to the two challenging audition pieces, address questions about technique and also taught her how to tune her instrument. Thanks to Amanda's excellent teaching and flexibility, my daughter had a great experience for her first audition. Amanda is an excellent instructor and I like her work ethics and her dedication to teaching music. Can't find a teacher in Glen Mills, PA? "Very good for an 8yr old beginner!" "I am still at the beginning of my lessons but I enjoy very much. She is a very nice person." "I truly enjoy my lessons with Elicia. She is very detailed in explaining what she is teaching, and she pays close attention to you when you are playing. She noticed if your hand and posture is in the correct position and if you are playing the right or wrong note. She goes over each piece you are playing bar by bar and she also plays it before she ask you to play. I am more impressed with her than when I went to a school to take lessons." couraging. She is able to get across what is needed with ease. My daughter is excited to have her lessons and also practice daily." "Great teacher and really good with my daughter." "An excellent and professional teacher who has passion to help both young and adult learners to enjoy the progress in violin performance." Philadelphia, PA teacher: Jenny L.